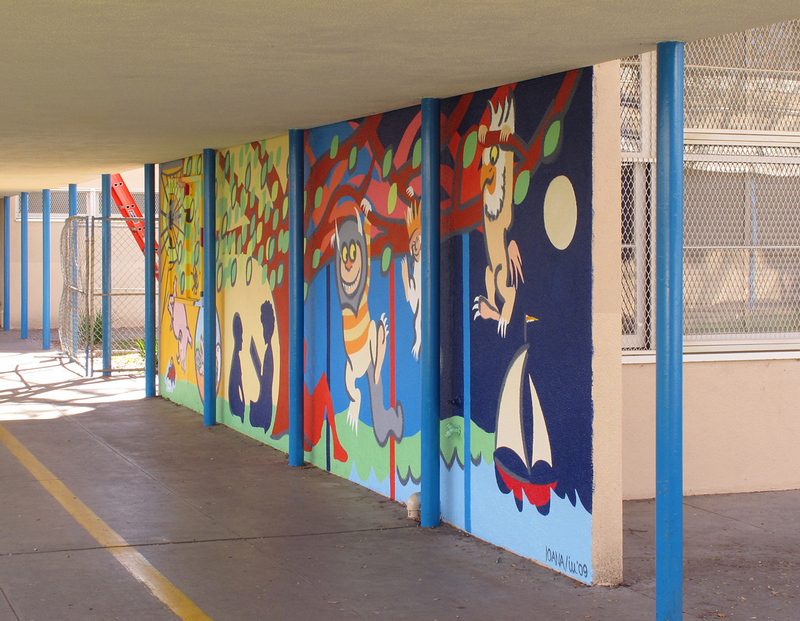 Three murals were painted at Kester Elementary in Van Nuys to inspire children to read and to play sports. 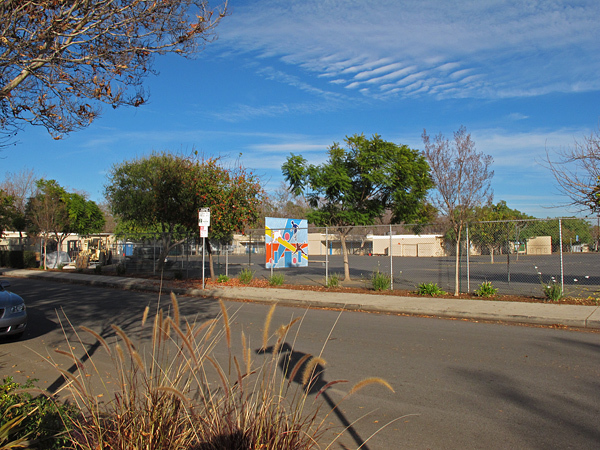 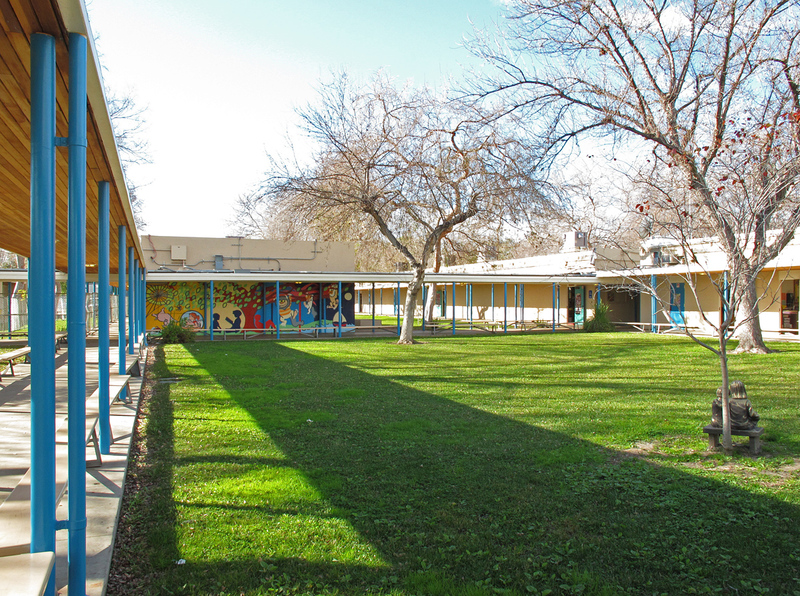 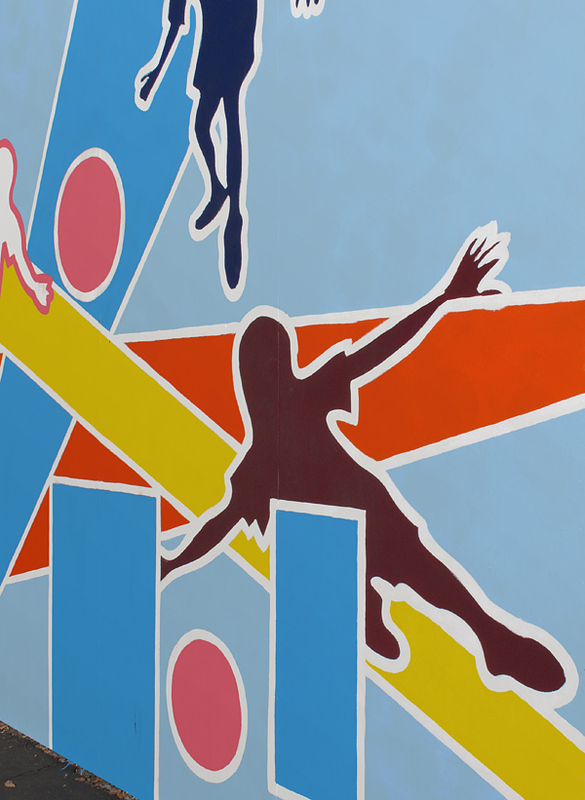 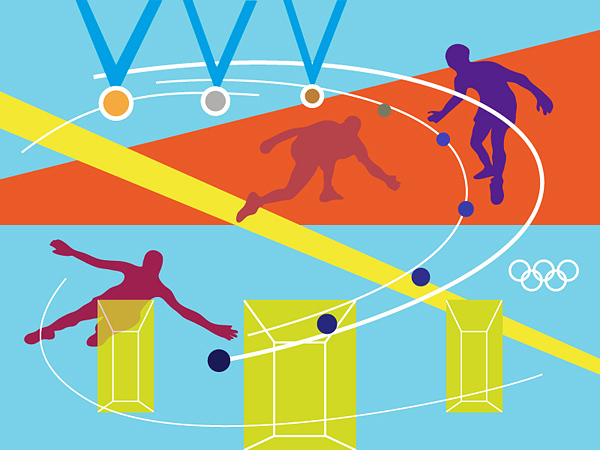 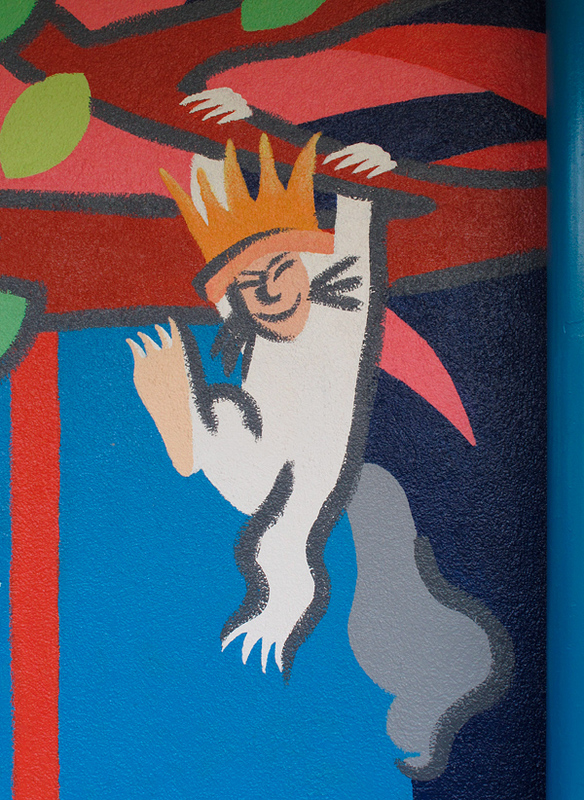 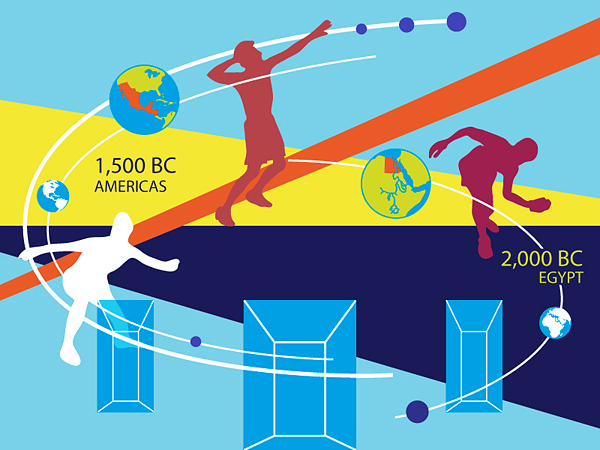 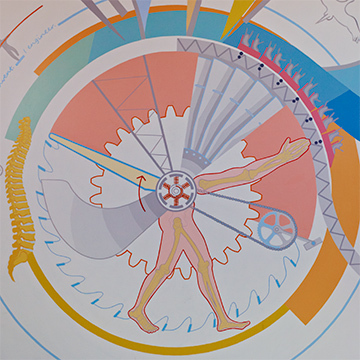 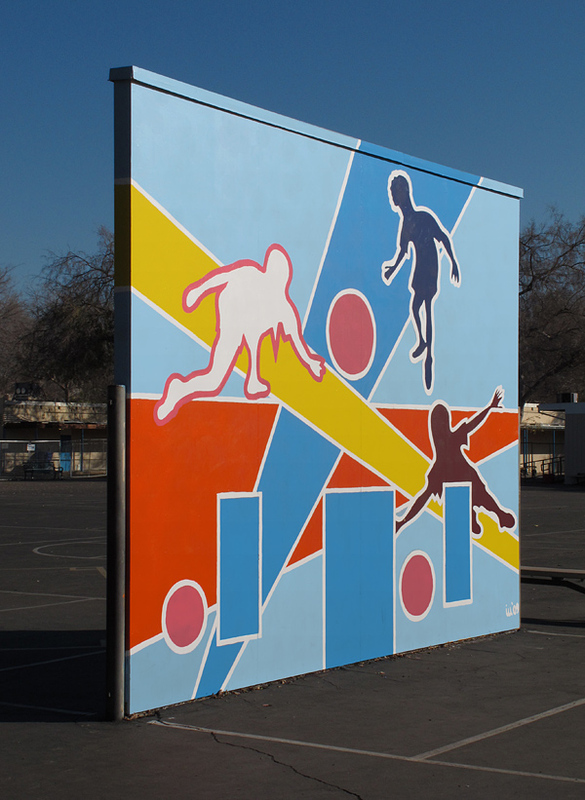 One mural occupies the school’s main entry courtyard; the other two are on two handball/dodgeball courts. 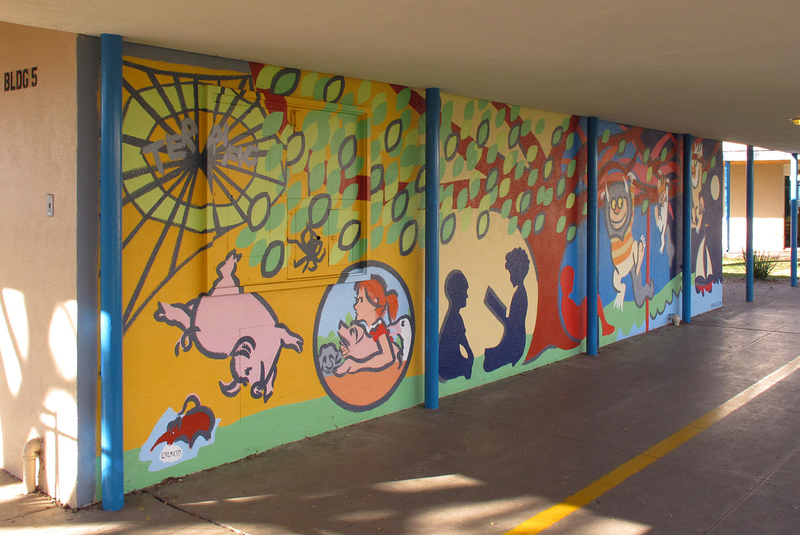 The courtyard mural shows children reading under a tree - to inspire kids to read - with abstracted images from several books requested by the school. 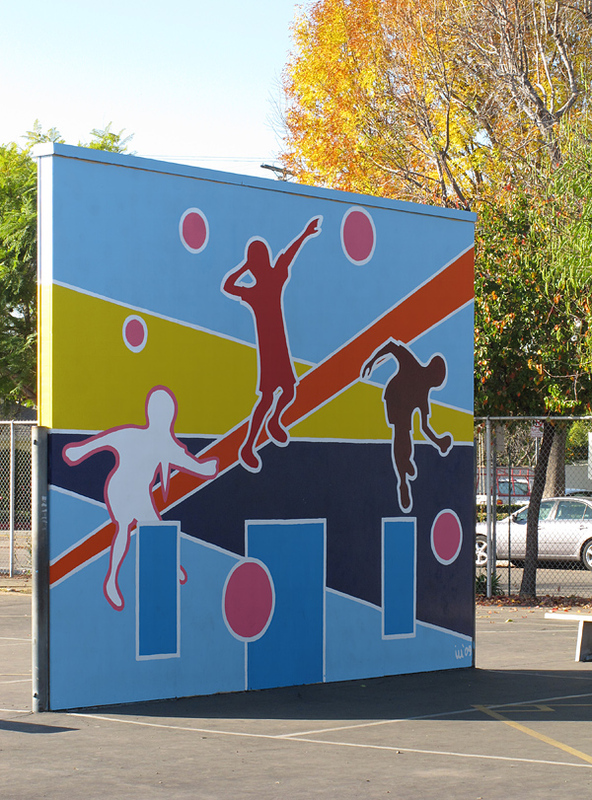 The back-to-back handball court murals hope to motivate kids to be more active, as children do not get enough exercise these days. 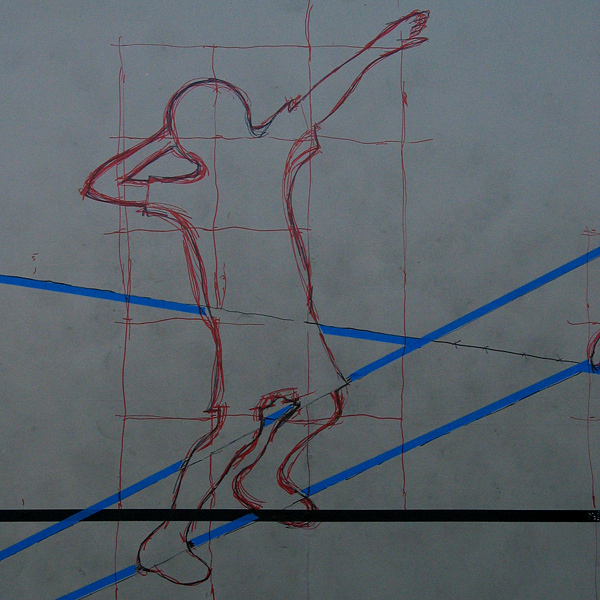 The designs, which had to incorporate some of the existing game rule linework, do this through energetic play shots, bold colors, and strong geometries. 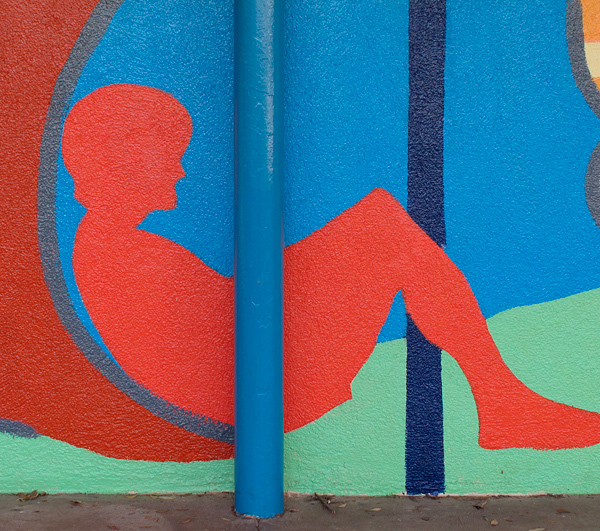 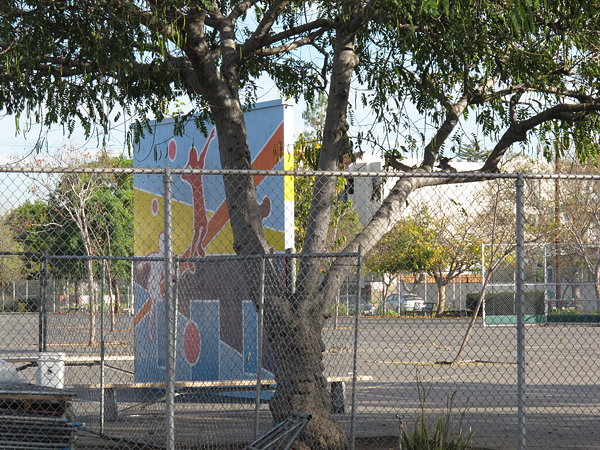 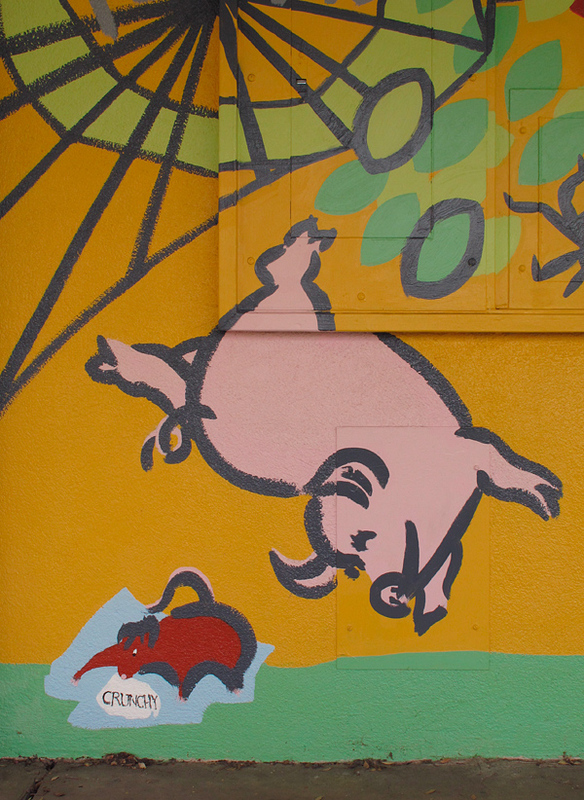 A tribute copy of the handball court murals was painted on handball courts at Eagle Rock Elementary School, Los Angeles by the Kids Hope Foundation. 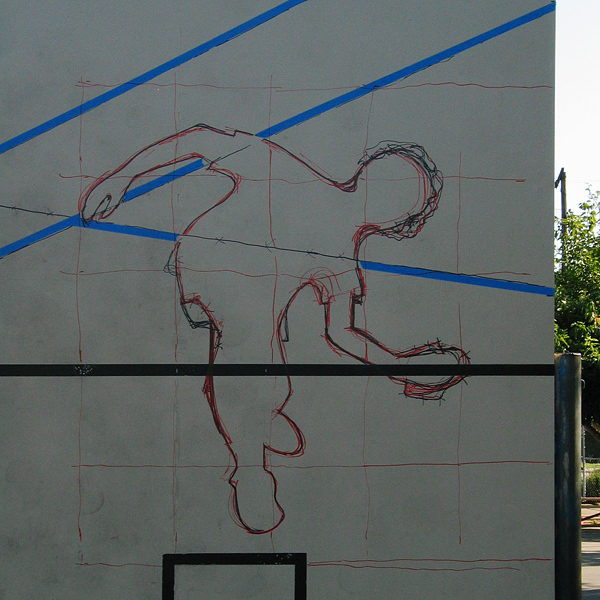 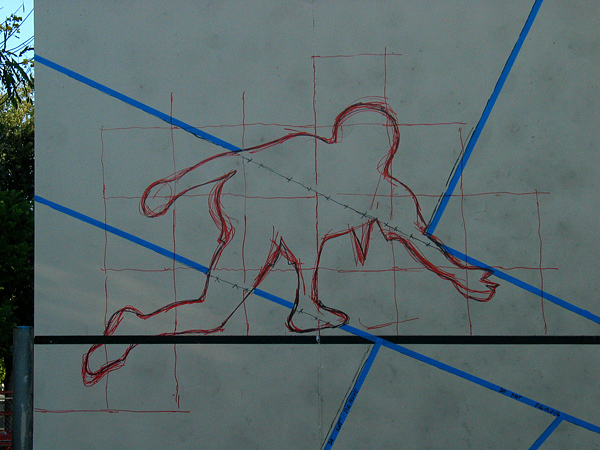 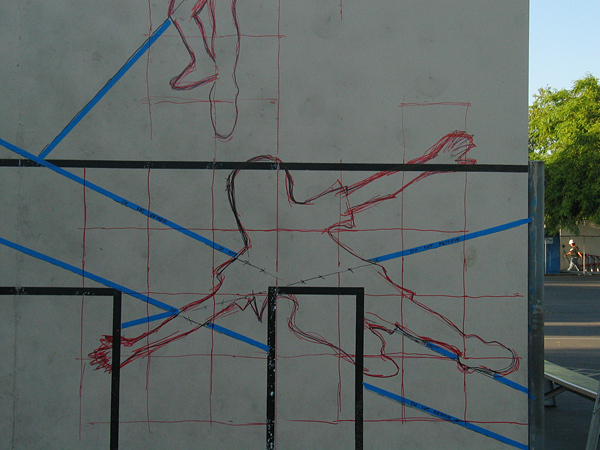 Linework outlining the shapes was added after seeing how flat the mural looked after the first coat of paint. 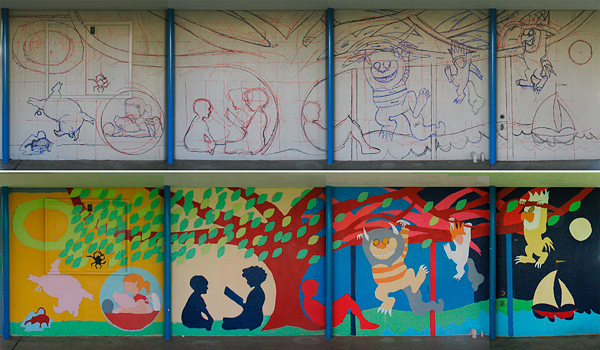 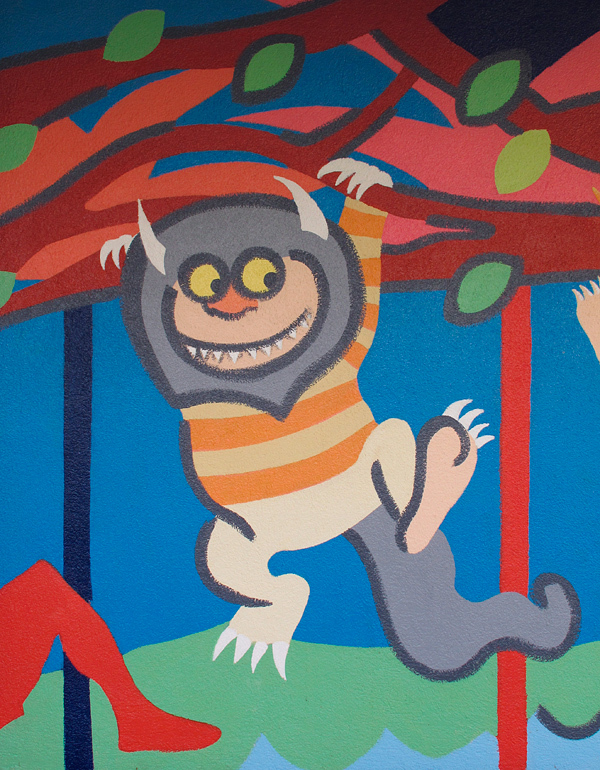 The mural is designed to transition from daytime to nighttime, in line with the books, visually tying them together. 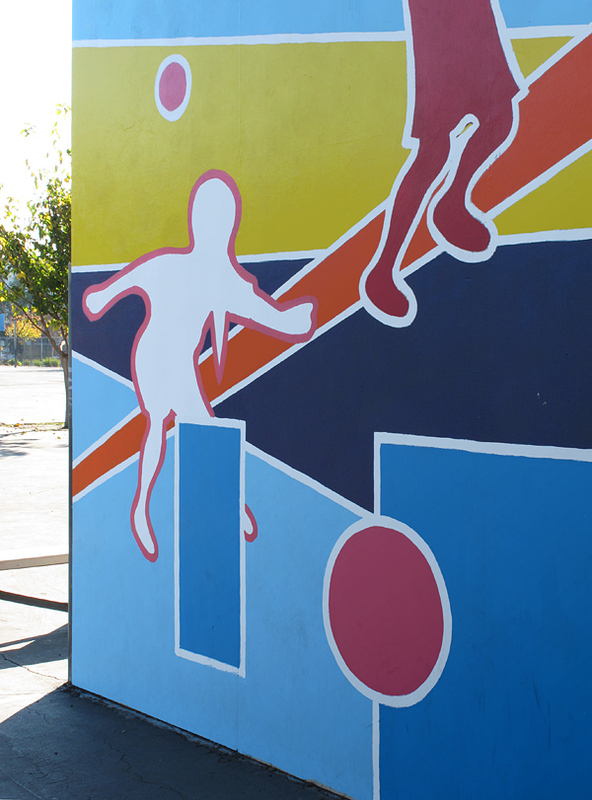 The handball court murals are designed in a few colors, as Ioana was supervising painting - and mixing colors for - both this and the more complex storybook mural at the same time (volunteers came in just one day to “paint infill”). 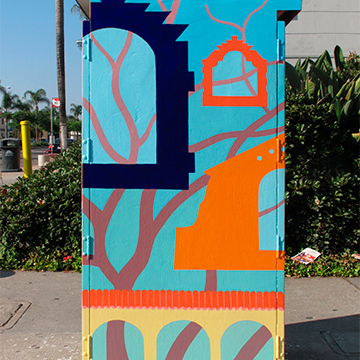 Darker colors are used on the north facing side, and lighter colors on the south facing side. 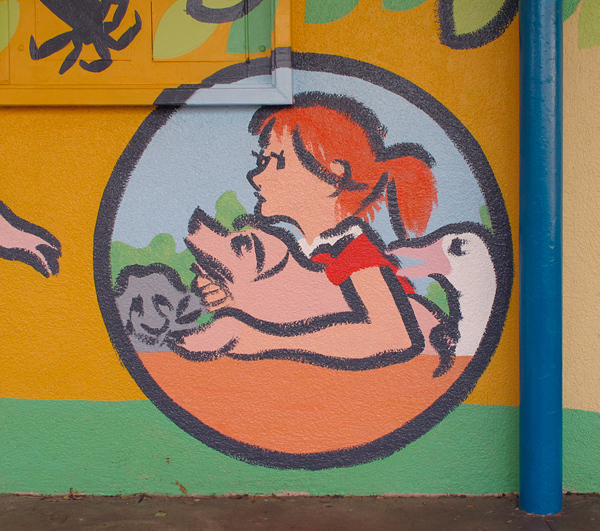 These murals are designed in a few colors, as Ioana was supervising (mixing colors) both for this and for the more complex storybook mural at the same time (volunteers came in just one day to “paint infill”). 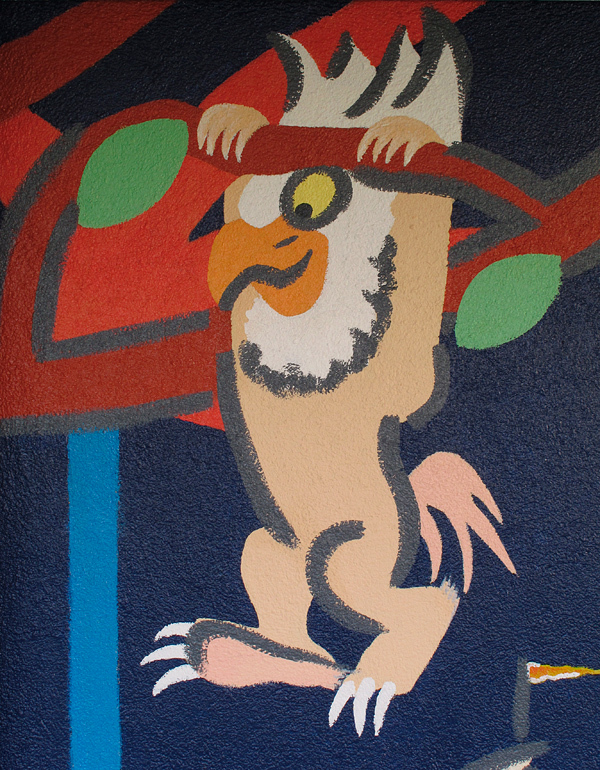 Darker colors are used on the north facing side, and lighter colors on the south facing side. 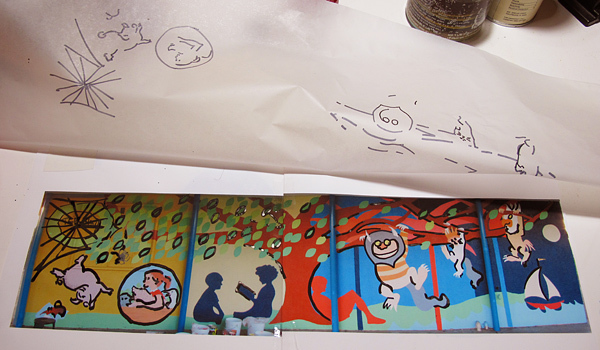 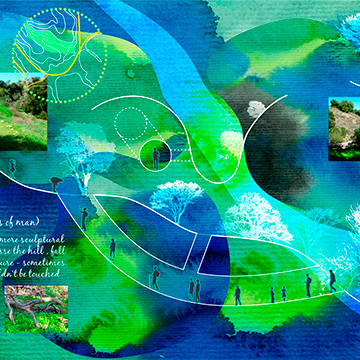 Design, Drawing, Painting, & Photos: Ioana Urma, with first stage painting help from UCLA student volunteers.